Willy was a very special kid. He was very nice and kind but wasn´t very happy for some reason. One day his parents realised that every time they scolded him, Willy became very sad, and they came to the conclusion that the problem was their way of educating Willy, because it was not positive education. Shouting and complaining about everything Willy did was not a good plan, so they decided to look for some help. The blue snail was famous in town. He was a magic snail living in a magic river and was able to teach parents how to give positive education to their children. 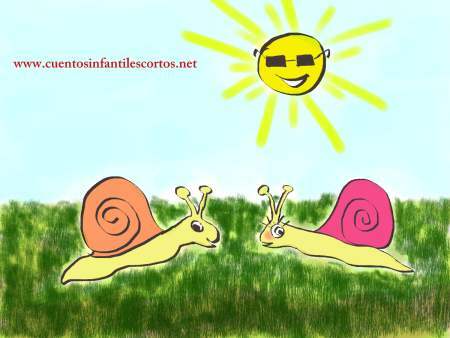 So Willy´s parents went to the river searching for the blue snail. “Where are you, blue snail?” – they shouted. After two hours walking beside the river, the father said: “Let´s go back home, the blue snail does not exist”. Then he stepped on a hard stone and a blue light suddenly illuminated the place. “Were you looking for me?” – said a voice coming from the blue light. They looked and there he was, the blue snail was talking to them. “It´s better to help him to think about what is wrong, instead of being negative and shouting or reprimanding him. Positive education is key” – said the wise snail. His parents did what the blue snail said and their life and Willy´s has become much better since then. They can speak with their son and teach him in a positive way what is right and what is not. And so they became a very happy family.